Simon Davidson – Interview — ligature — Switzerland-based online publication for design, culture and visual creation. Hello Simon, how are you? Hello. I’m very well, thank you. 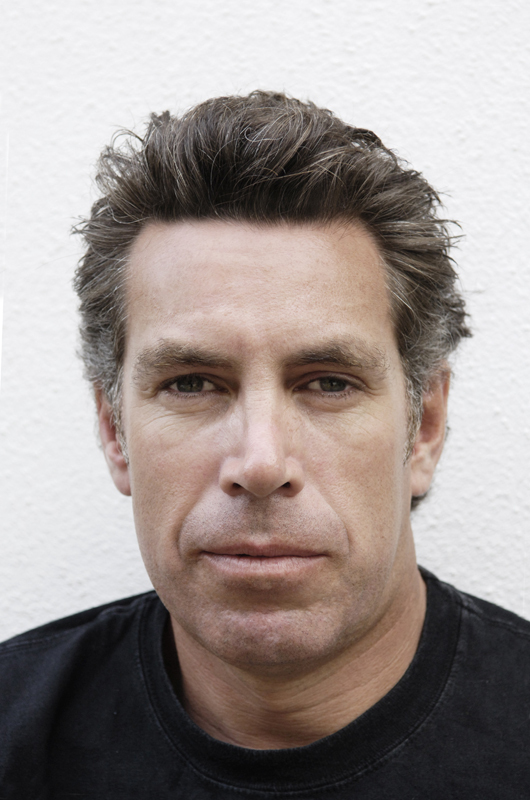 I am a full time photographer who was born in New Zealand. I was raised in Sydney, Australia where I am currently based. Grew up near the coast constantly surfing and have a passion for old cars from the 1950’s and 1960’s. 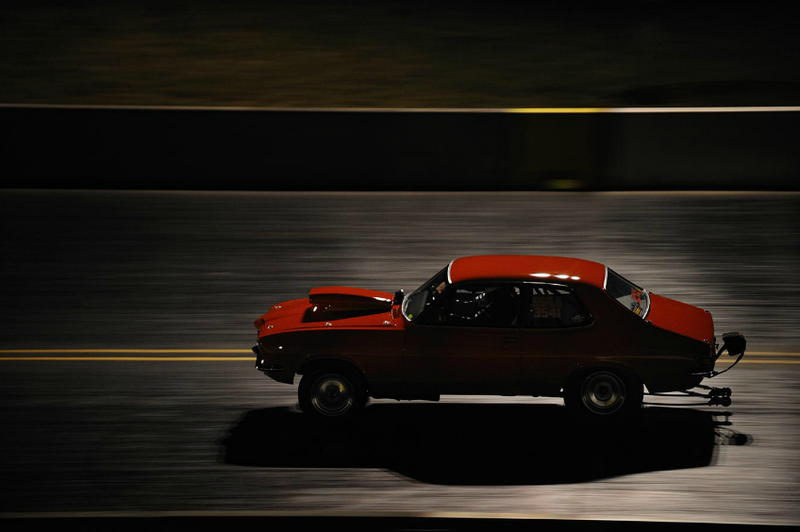 My daily driver is a 1964 Ford Falcon coupe powered by a sweet 289 V8. I live with my girlfriend and our 5-year-old daughter. Can you talk to us about your background in photography. When did you start? I didn’t pick up a camera till I was 25. At the time I was between jobs and decided to have a break from managing bars so I sourced a job in photography, mainly to learn. My early photographic years were spent working in darkrooms, labs processing black and white film and shooting odd jobs gathering on hands experience before travelling overseas to assist. I spent a few years in NYC and Los Angeles assisting before returning to Australia at the beginning of 2000. I continued to assist on returning to Sydney before making the break to shooting full time. From assisting I drifted into fashion and portrait photography. 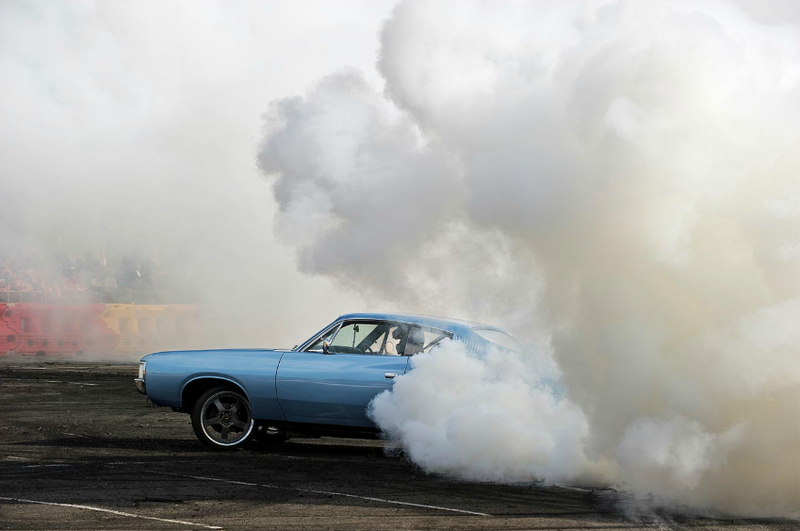 In the early days of shooting full time, I was still defining my own style when by chance I stumbled across Australian muscle and custom car culture. This was the beginning of a personal project that changed the direction of my work and ultimately my career. 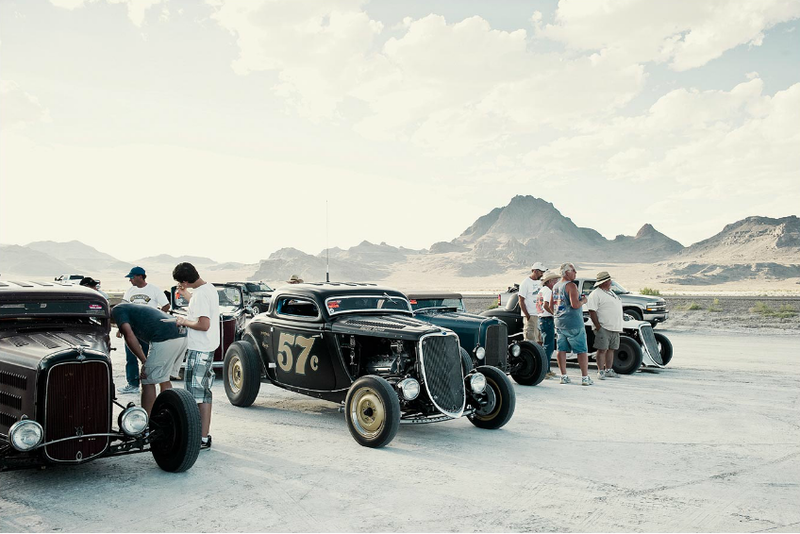 Some of your works (Bonneville, Speedweek, Burnouts…) are focused on racing and cars. Can you tell us more about this part of your photographic work? 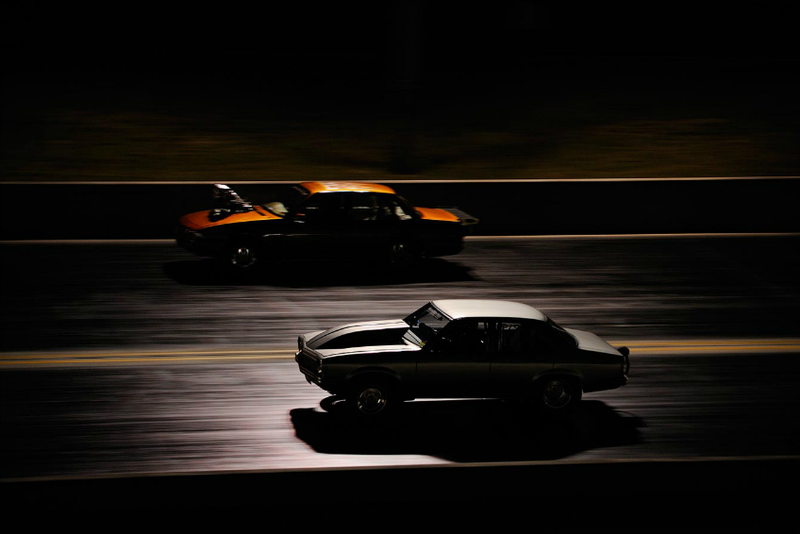 As mentioned earlier… Australian muscle and custom car culture is a personal project. 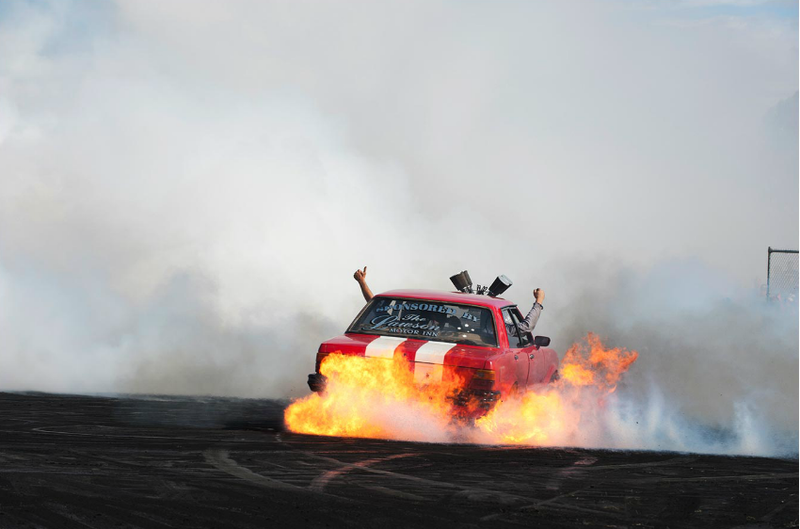 Amongst this broad culture I was drawn into the sub-cultures of landspeed racing and burnouts. 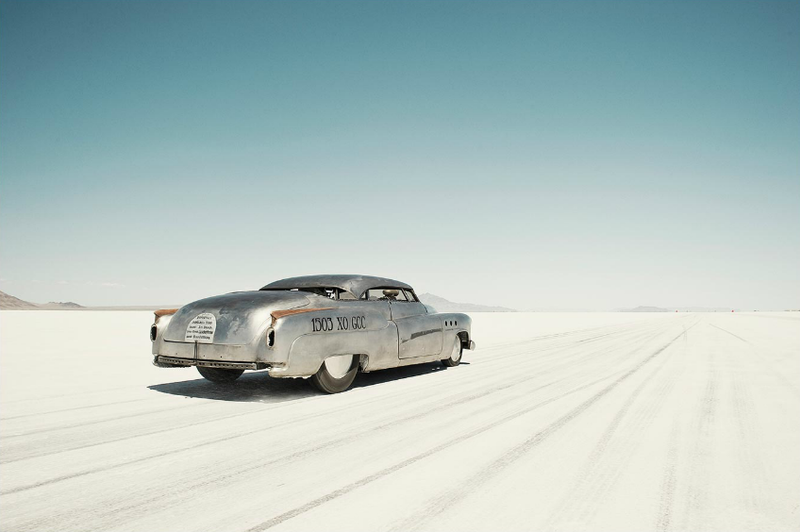 Landspeed racing is wrapped up in nostalgia and history but the landscape of landspeed racing was, for me, the photographic sweetener. The vastness of a salt lake, the sense of infinity and harshness of light all combine into a dreamscape, which at first was a challenge. However, over time I found a rhythm. 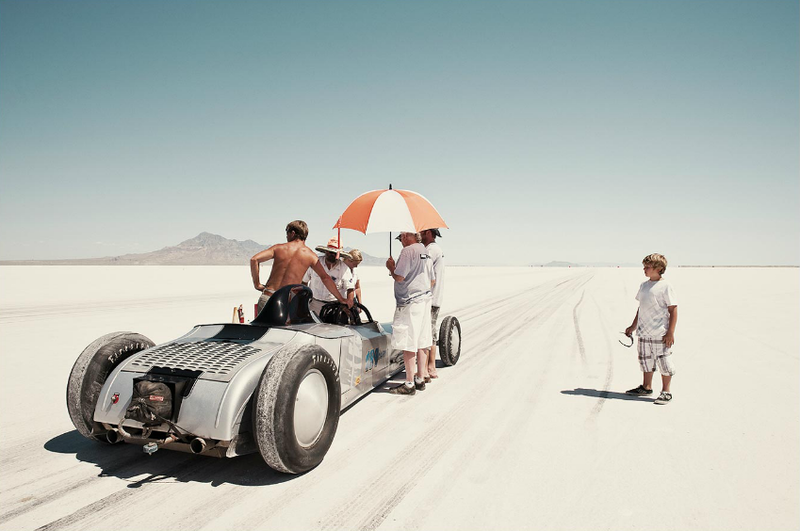 If car racing can be calm and meditative, then landspeed racing on a salt lake is just that. 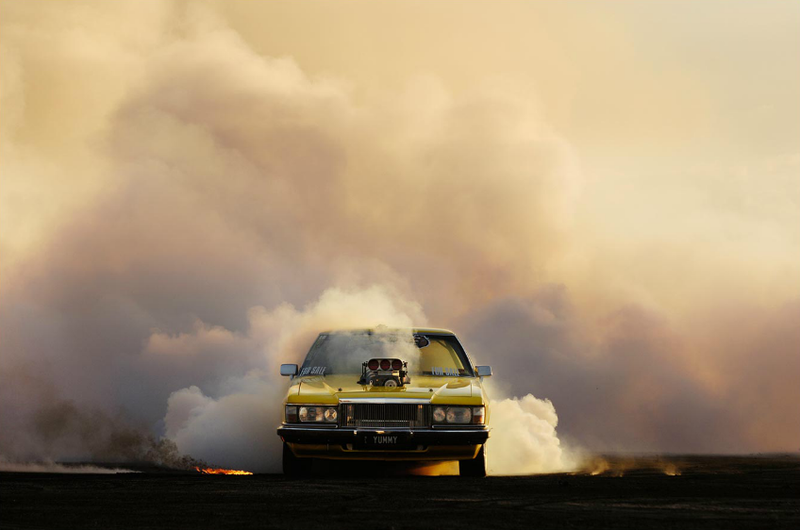 Burnouts are the opposite… loud, aggressive and dirty. In the midst of all the burnout chaos, visually, I find a place of harmony. 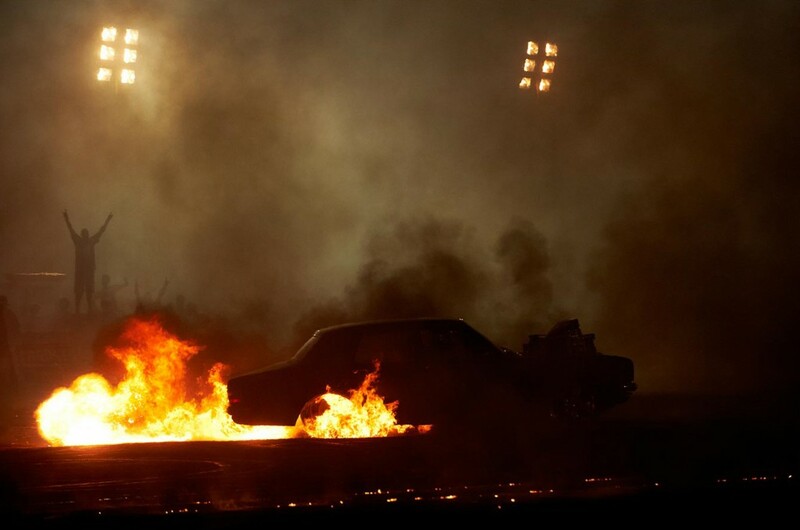 The single-minded, obsessive passion of the racers, competitors, car builders and spectators in both disciplines can be intoxicating. I’ll keep exploring these sub-cultures for a while yet as I feel each project is incomplete. Inspiration comes from many sources… film, music, other photographers and artists… life. I’m absolutely inspired by the passion of humans and our diversity. My artistic influence relates back to when I was working with film… the warm and emotive qualities of negative film always remained with me into the digital realm. What project has given you the most satisfaction? 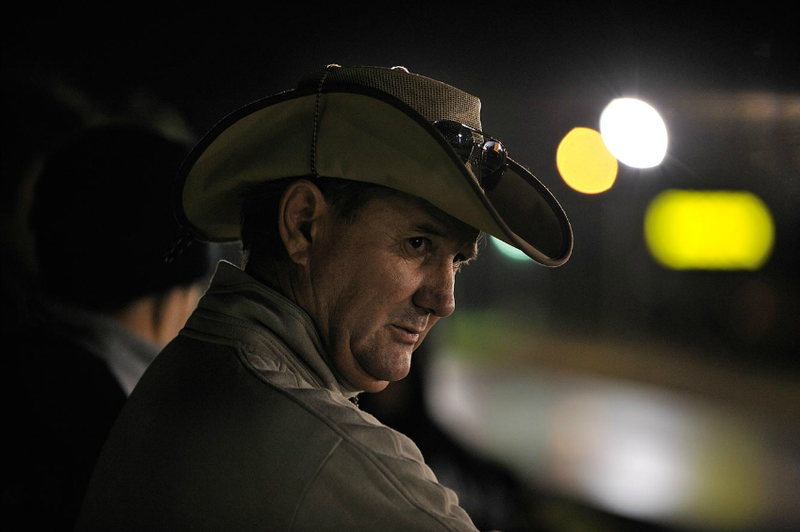 The project Mt Liebig. 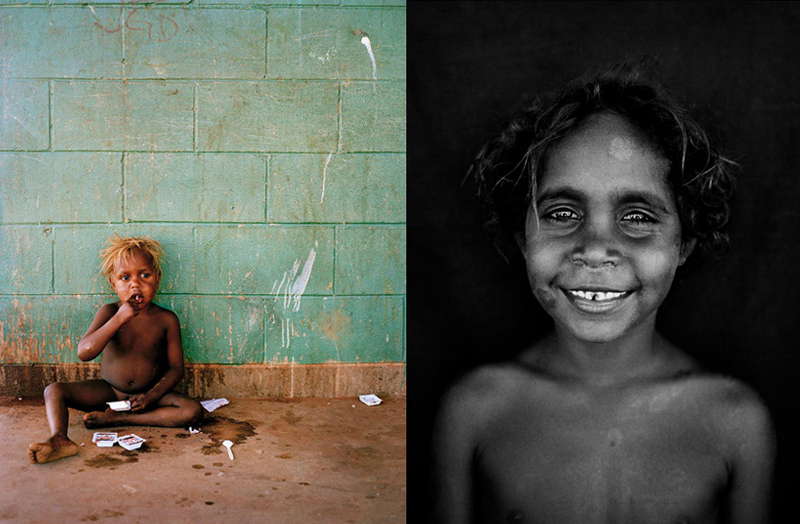 In 2004 I visited a remote Aboriginal community located in the central western desert of Australia to teach photography as a diversion program. 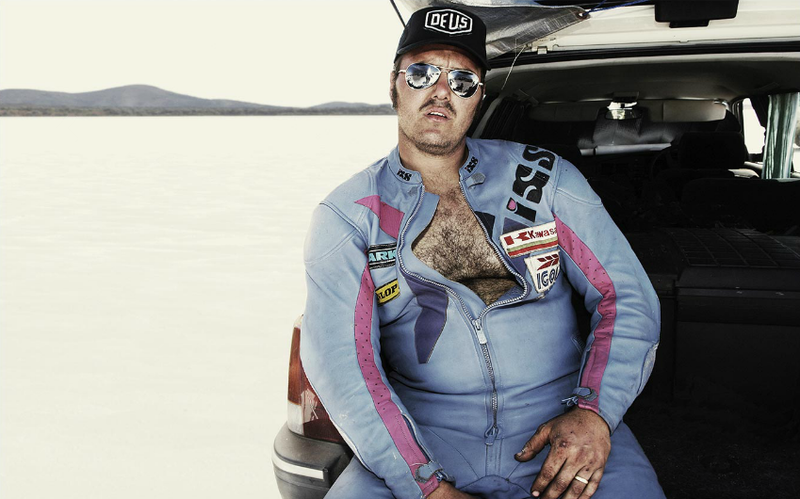 At the time petrol sniffing was a huge problem in the remote communities. 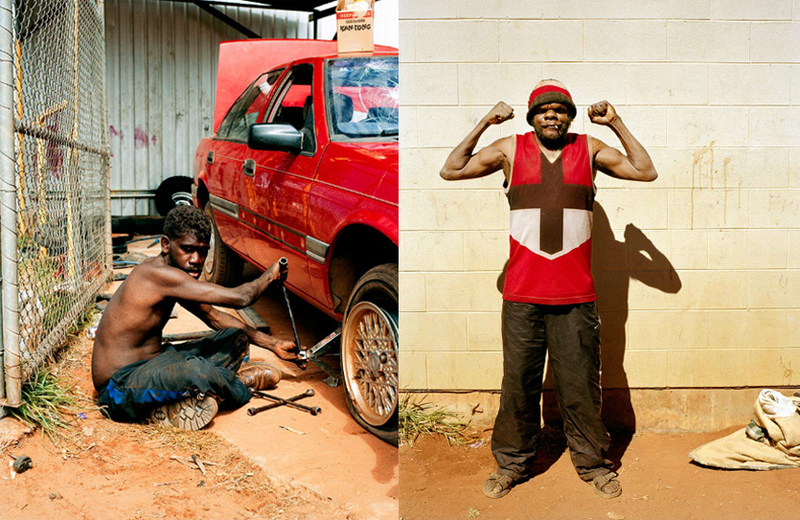 With the use of disposable cameras, community members created a portrait of remote community life. Personally it was a very rewarding project. I was able to immerse myself into an ancient culture albeit at the modern end. I learnt much about the traditional custodians of Australia. 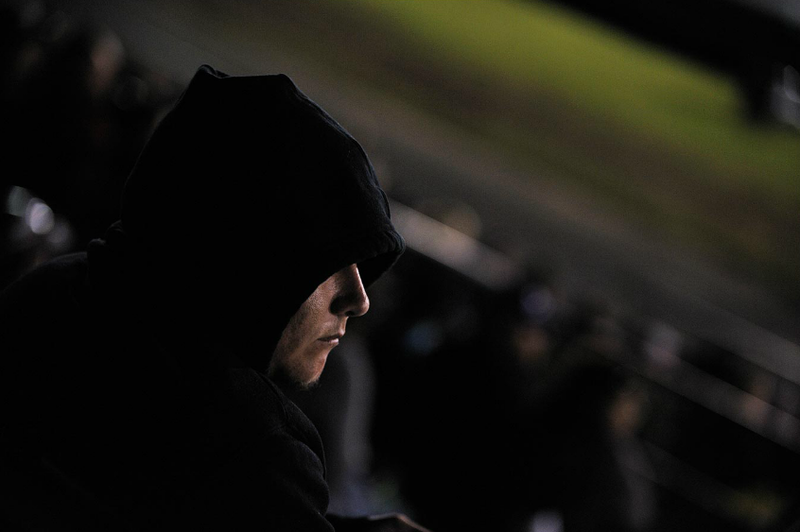 The images on my website are my images from the half a dozen times I visited the community. The diversion project was a success, after 18 months the amount of sniffers dropped from 14 to zero. I have a love affair with photography and am continually fascinated by the history and progression of photography as a craft. What a beautiful and powerful medium. What advice would you give to the young photographers? Whether it’s a career choice or a passion, be prepared to work hard and take as many photos as possible to learn. Just keep shooting and if possible find a mentor. The journey of a photographer is incredible. Always looking for new projects but for the time being I’ll keep shooting Australian custom car culture and push myself to look at the same scene differently. I’ve found a long-term project has been a beneficial way to measure my evolution as a photographer. 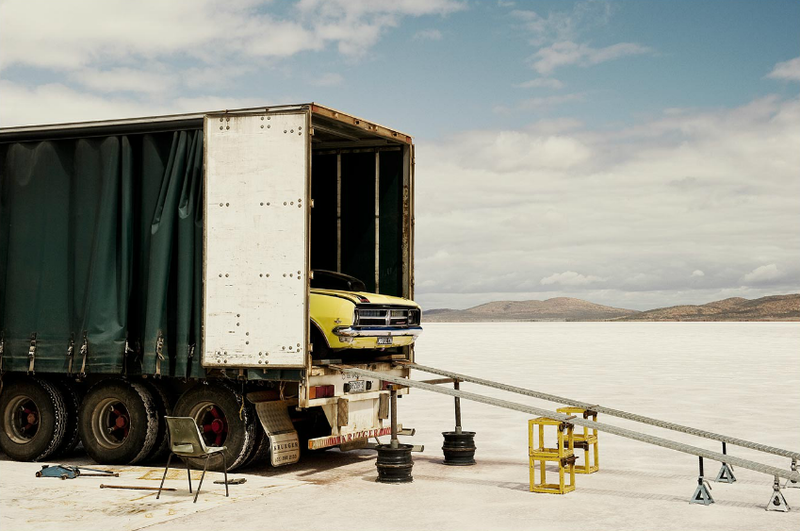 / Interview : Dennis Moya // All the photographs are © Simon Davidson.